Kotak Securities expects the maximum 21 percent growth in EBITDA and 19 percent in EBIT with 50 bps margin expansion. Larsen & Toubro is expected to report double-digit growth in bottomline, topline as well as operating income in October-December 2018 quarter. The company will announce earnings on January 25. Analysts expect revenue growth in the range of 12-16 percent year-on-year, largely driven by engineering & construction (E&C), IT and financial services segments. Kotak and Edelweiss Securities, other brokerages considered for this poll estimates, expect the maximum 16 percent growth in consoldiated revenue. "We expect 11 percent YoY growth in core E&C revenues and 16 percent growth in consolidated revenues driven by IT and financial services," Kotak Securities said. 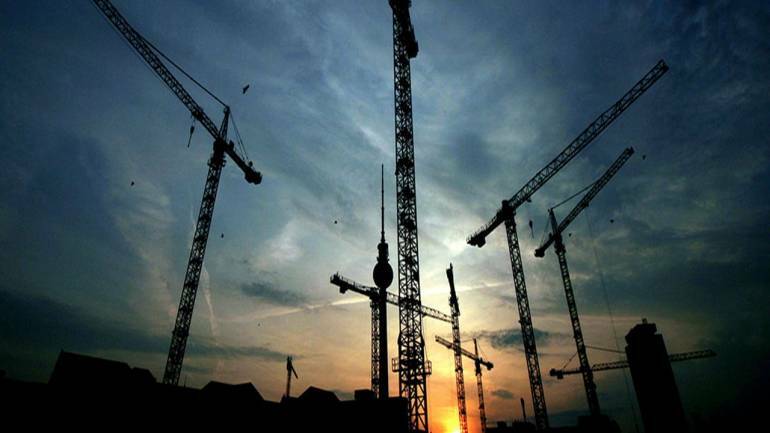 In infrastructure segment, it expects a strong 18 percent YoY revenue growth in Q3FY19 driven by opening segmental order backlog of Rs 2.2 lakh crore, which was up 15 percent YoY. However, it expects persistent weakness and YoY revenue decline in heavy engineering and power due to YoY lower opening order book. Hydrocarbon may be able to report mid single-digit growth on the strength of existing order book, the research house said. Hydrocarbon segment received one large order from ONGC in a consortium to develop a field in KG basin, which is likely to start contributing to revenues from next quarter onwards. During Q3FY19, L&T has announced order inflows worth Rs 16,869 crore, which includes Rs 6,512 crore in power T&D, Rs 5,021 crore in water & effluent treatment segment, Rs 2,760 crore in building & factories segment and remaining orders across construction business. Front loading of orders by L&T suggests better execution rate in domestic market in Q3FY19 before upcoming general elections, ICICI Securities said. The estimated range of profit growth is 17-22 percent year-on-year for the quarter. Kotak expects the maximum growth of around 22 percent while Motilal Oswal, which has buy call on the stock, said it expects net profit to register 19 percent YoY growth supported by higher other income for the quarter. At operating level, EBITDA (earnings before interest, tax, depreciation and amortisation) is expected to grow 18-21 percent YoY with margin expansion. "Margin would be a function of project execution stage and job mix. Considering first half of FY19 performance so far and management's assertion of 25 bps margin improvement for the whole year, we deduce higher core E&C EBITDA margin of 10 percent for Q3FY19. Overall consolidated EBITDA margin of 11.4 percent would increase 50 bps YoY," the research house said. ICICI Securities also said EBITDA margin is expected to improve 50 bps to 9.9 percent in Q3 YoY while Antique Stock Broking and ICICI Securities see 18 percent growth in EBITDA. > Net working capital cycle (excluding financial services) stood at 20 percent of revenue in Q2FY19. Target is to reach 18 percent in FY19.